The Nissan Micra has been voted Continental Irish Small Car of the Year 2018 by a panel of Ireland’s leading motoring journalists. The panel of judges awards points on the basis of criteria ranging from innovation and safety to space, comfort, build quality, driving quality and value for money. 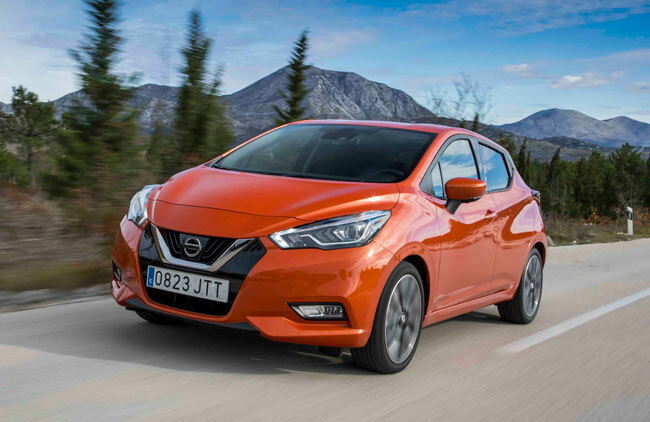 As a result of votes from 30 motoring journalists, the All New Nissan Micra was crowned winner of the Irish Small Car of the Year for 2018 accolade, prevailing over eight other candidates. James McCarthy, CEO, Nissan Ireland added: “We are absolutely delighted to win this award. The Nissan Micra is a tremendous car with a huge reputation and history the world over. This result is due to a great team effort from all our Nissan colleagues – from the designers of the Micra, everyone in sales and marketing but especially our colleagues on the production line who produce outstanding quality products that deserve awards like this”. Awards were made in nine car categories, reflecting the diversified nature of today’s passenger car market in Ireland.